Thank you for sharing! Download your magazine right here. Can’t crochet? 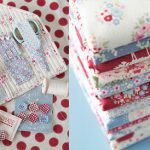 Check out one of these awesome classes at Craftsy! 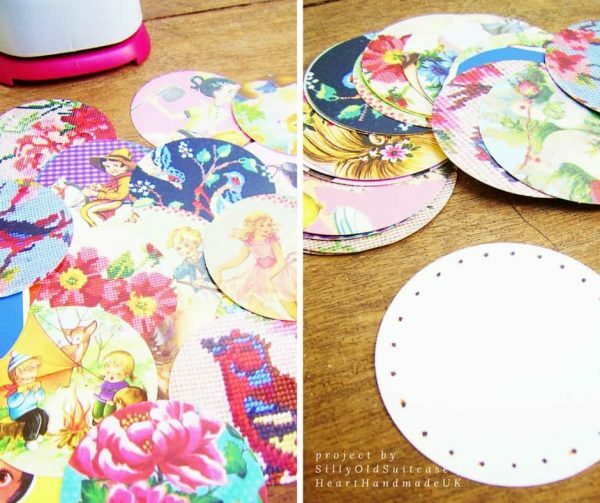 The first step is to use your paper punch and cut out pieces of card. When you turn the punch upside down, you can see the pattern that you are about to cut out, so make sure you’re punching a beautiful part of the card. 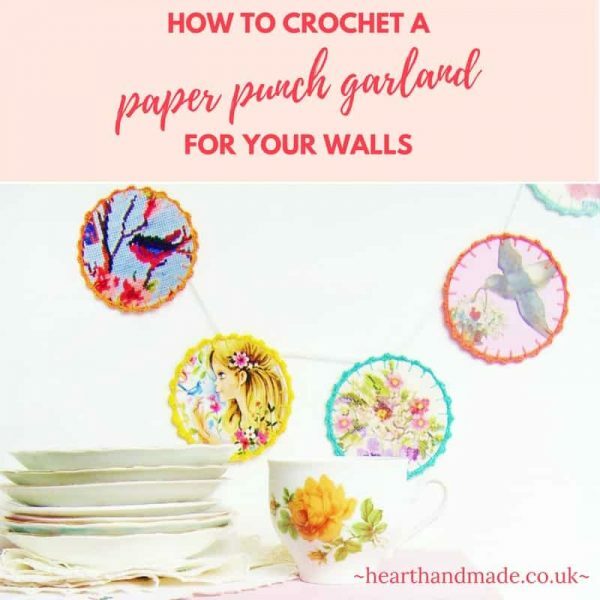 To make a shorter garland you can use 5-7 circles. 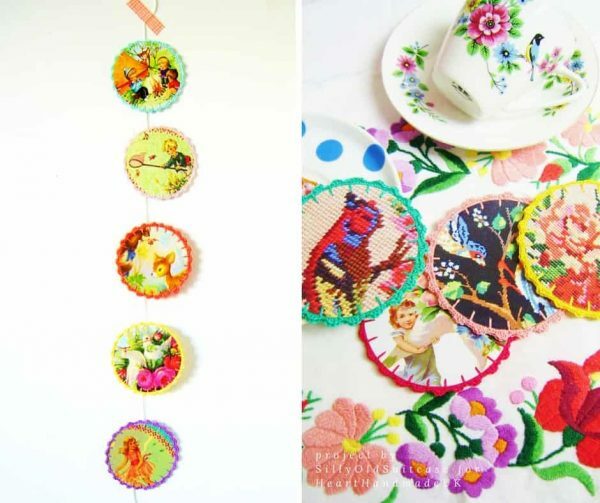 Choose some a colour palette for your little garland and grab your floss or yarn. Measure your paper circle approximately 0.5cm from the edge and 1 cm apart, go around and use a pencil to mark the points. Use your tapestry needle or awl to poke the holes. Repeat on the rest of your circles. 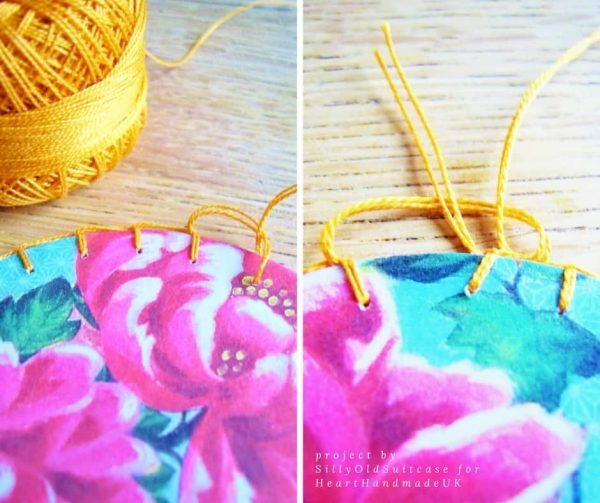 Now take one of your circles and chosen embroidery floss colour. When taking a long piece of floss, it’s best not to make the floss longer than the length of your forearm. That means you should measure from your wrist to your elbow. Of course, you can double up the thread, but at this stage, it doesn’t need to be too long. 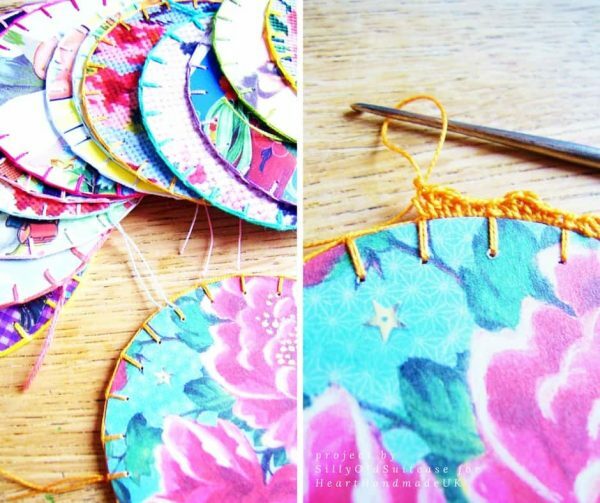 Do a blanket stitch the whole way around the circle and tie off the end. Next, it’s time to create the lovely crochet edge. Take a new length of floss and start to crochet. Then move on to the next. And continue all the way around the circle. 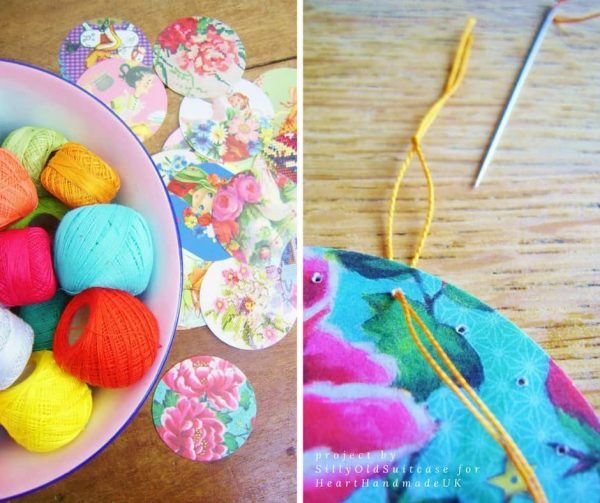 Attach some of the white yarn to the back of your circles (you can use washi tape), or you can thread through one of the stitches on the circles. How gorgeous does that look?! What a cute way to recycle old cards and vintage postcards. A perfect excuse to treat yourself to some fabulous vintage cards and postcards or go rummaging in your relatives drawers. What was the last item you crocheted? I would love it if you would share this on Pinterest and connect with me (you can find me here)! « Where Is The Best Place On The Web To Take Craft Classes? This is really sweet , I love how colourful it is. I like the idea of doing one with vintage Christmas cards for a lovely Christmas decoration. 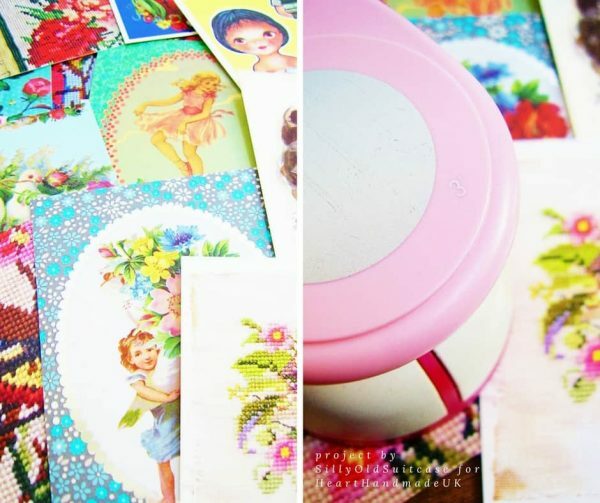 Claire, A very pretty way to display vintage cards. Pinned to share 🙂 Thanks so much for sharing! 5 More Creative Classes I Want To Take Right Now!